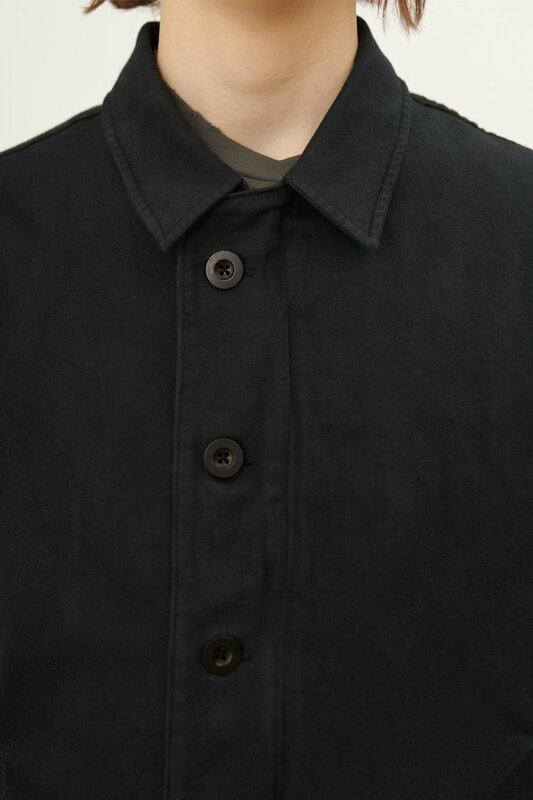 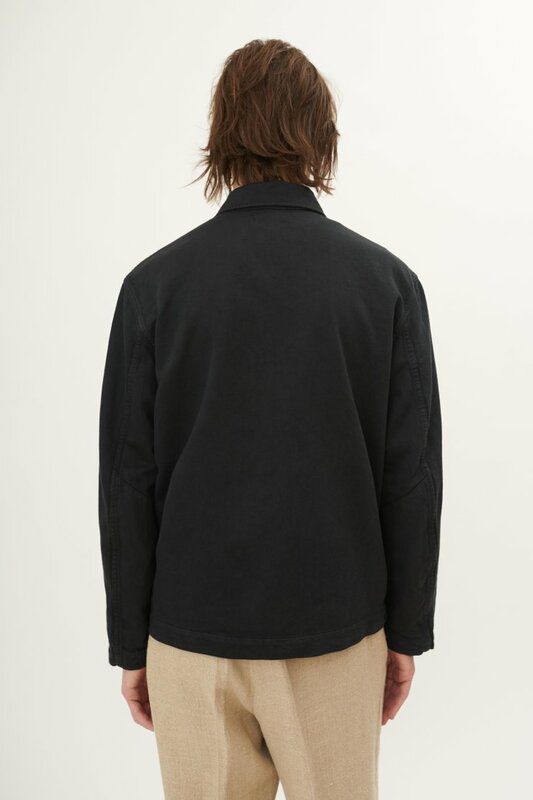 Our Buta Blouson in Washed Black. 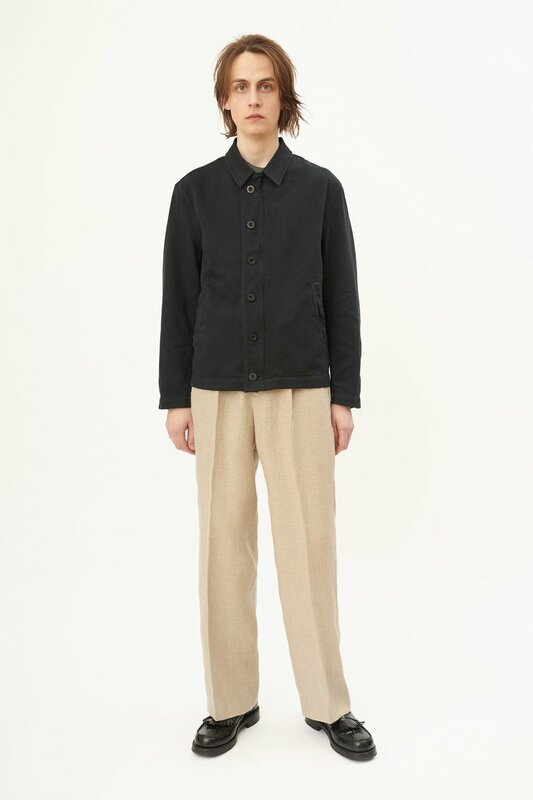 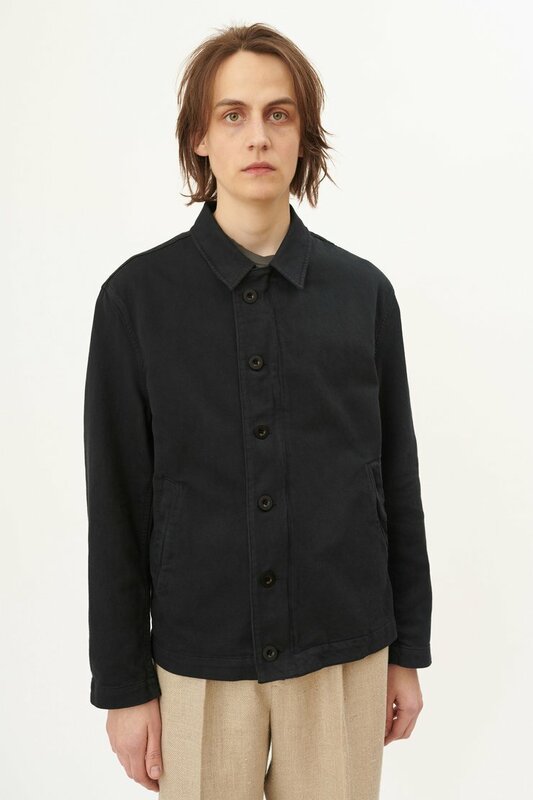 Produced in a cotton and hemp blend fabric, the mens Buta Blouson has a regular fit and features welted front pockets, a Lampo zip and an offset covered placket with casein buttons. 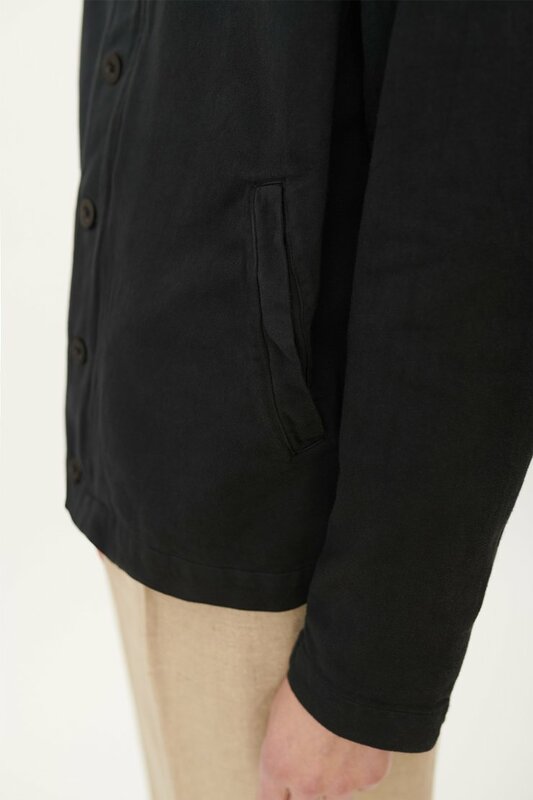 Our Buta Blouson is true to size with a regular fit. 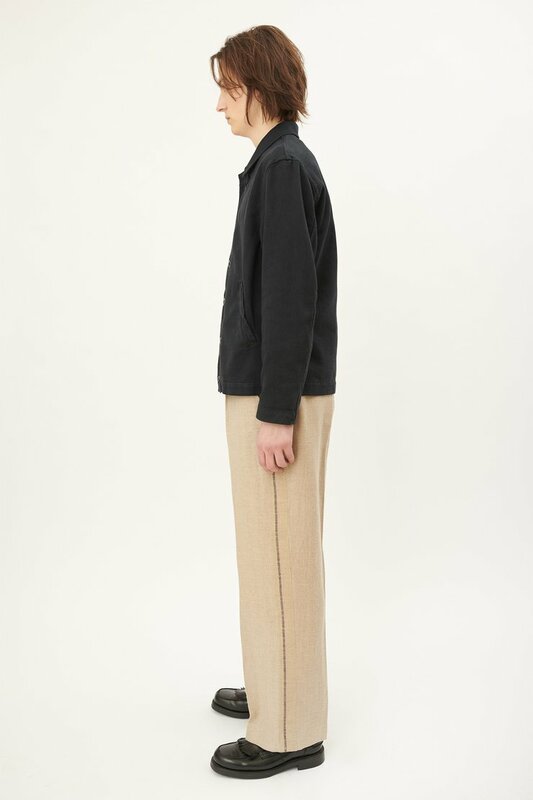 The model is 187 cm tall and is wearing a size 48.